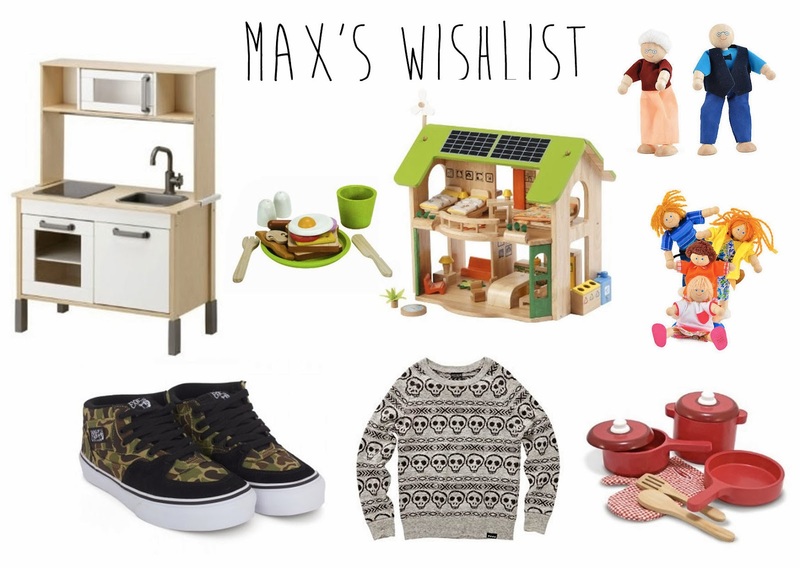 So Max hasn't actually made a wishlist. This is what we have got him for his birthday and christmas! We aren't too sure what he is getting as what gift yet! Ikea Kitchen - Max is obsessed with playing real life so this is perfect for him to pretend to make food and play house. Plan Toys Breakfast Set - We have bought loads of food for him and this is one of the sets I picked up from Zulily a few weeks ago. All his family are buying different pieces. Wooden Doll Family & Grandparents - My mum wanted to get him an eskimo family but we realised that it didn't seem to fit the eco home too well so we picked up this gorgeous family instead! Vans Half Cab Trainers - These will be a bit too big when he gets them but we both fell in love with them and they were in the sale! Next Skull Jumper - I'm a sucker for a good jumper, even better when it's a skull one! This is a right beauty. Melissa and Doug Pots and Pans - To go with his kitchen. It's been really hard to find gender neutral stuff for his kitchen but this was a winner.